A few weeks ago, an old clip of Bill Gates chatting with David Letterman in 1995 started circulating on Twitter. The young Mr. Gates was promoting his book, “The Road Ahead,” but he also found time to try to convince Letterman to try out this newfangled internet thing, tempting him with offers of the ability to listen to web streams of sports games and chat with other custom car aficionados. The clip seems wildly outdated twenty-three years on, but contains some unmistakeable parallels to the next wave of technology. Like the web, we’ve only scratched the surface when it comes to the possibilities of extended reality. And like the early internet, augmented reality is still too hard to access for many users. The internet only really evolved when it became nearly frictionless to access; likewise, we’re on the cusp of that moment for AR. 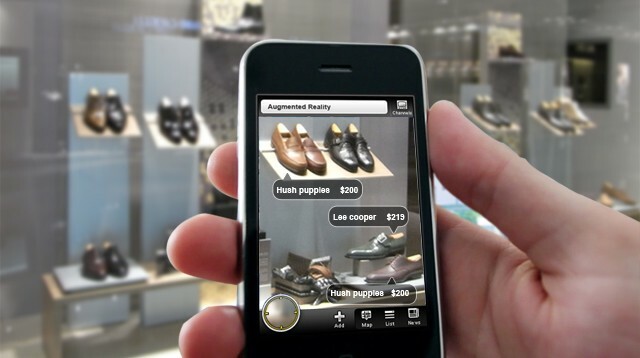 What will usher in that moment is WebAR , which allows users to interact with AR via a mobile browser. Much like ARKit and ARCore are used to create in-app experiences now, those same capabilities can be accessed through a mobile browser, and consumers will be able to play games, see information, and manipulate content without having to download anything extra, thus obviating one of the biggest hurdles for augmented reality to date. For every viral sensation like Pokemon Go, there are many other apps that have languished, because convincing consumers to download yet another app, especially for a single use, is extremely difficult. It is still only usable in experimental browsers at this point, but according to several sources working on the technology, it should be more widely available for mass consumption sometime late this year or early next. 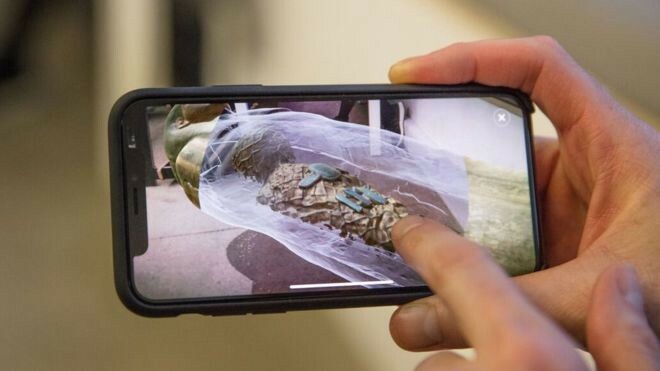 Once using augmented reality to add a digital layer on top of the physical world becomes as easy as clicking a link, a new universe should open up. One of the biggest problems with the current web is that as much as it improves on the old ways in which we found information, we do still have to call up to the data by searching, rather than it coming to us seamlessly. Information is also not integrated anywhere into our environment, as anyone who has been at a bus stop and seen a schedule on a phone telling you the bus is arriving, then looked down an empty street can tell you. Furthermore, data is often siloed, leading to multiple searches for the same consumer journey. When AR is widely available and frictionless, we’ll be able to not only search for what we need, but see it as a physical object right in front of our eyes. This represents a profound shift in how we’ll see data and apply it to our lives. For instance, imagine someone is trying to eat a healthier diet, but maybe they grew up in a household where that wasn’t a priority. It’s one thing to see a list of good foods and take a trip to the grocery store, but it’s much more powerful to be able to click on a link from your doctor, hold up the phone in front of your fridge, and see what it would look like stocked with fruit and veggies. You could tap to make changes if some foods don’t work for you, and then when you’re all set, click a button and connect to order via your preferred grocery delivery service. Seeing is believing, and that’s a powerful motivator — Modiface, which lets users “try on” makeup, reports an 80 percent increase in conversions for consumers who use the makeover technology. AR on the web also means users spend more time interacting with the content. If you’re staring down at a phone and scrolling, it’s hard for things to catch your eye — when the information is projected onto the world and interactive, you can engage with it in a more holistic way. AR campaigns have an average dwell time of 75 seconds — 2.5 times the average of radio or TV ads, and obviously much more than the microsecond when someone scrolls by a tweet. This engagement will lead to people slowing down and interacting and actually spending time with the information. And for visual learners, this is a massive step forward — as we move away from the text-based web and into something more contextual and interactive, this will give people with non-traditional learning styles a massive advantage. The most exciting thing about all this is that we’re on the precipice of a new way of consuming and delivering information, and we have no idea where it’s going from here. Once WebAR is open to all consumers and developers, the possibilities will be endless. Twenty years from now, we’re likely to look back and laugh at how simple our early ideas were — and how revolutionary they seemed at the time.